These easy egg recipes are perfect for using all of those farm fresh eggs from your flock! From sweet to savory, the egg dishes here will give you some great ideas for breakfast, lunch, and dinner. Eggs have had a tough run. They’re bad for our cholesterol, we were told. So we separated the yolk from the white, eating things like low-fat egg dishes like egg-white omelets. We bought cartons of “egg whites” to avoid the horrors of a fresh egg. One large egg has 6 grams of protein, less than 5 grams of fat, and less than a gram of carbohydrates. 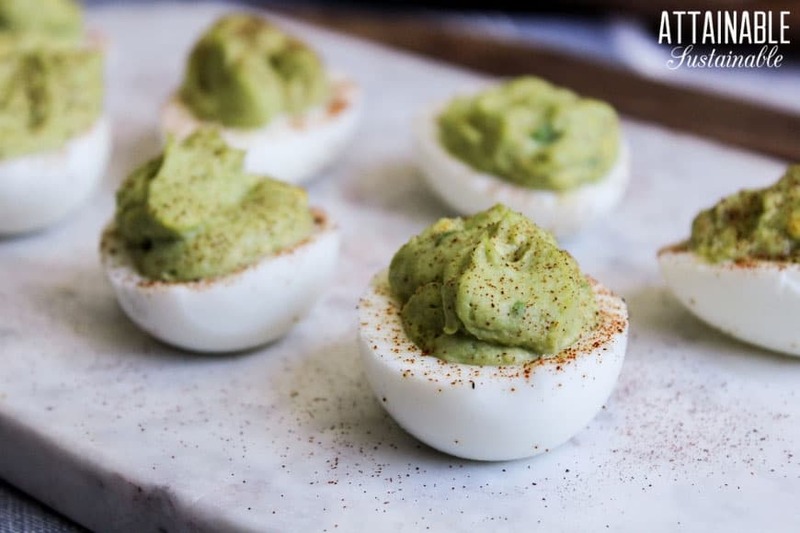 This makes them a solid option for those who are low-carbing on a Whole30 or paleo diet, two plans that have made eating eggs healthy again. Eggs are satisfying and filling, and provide nutrients like lutein and xeazanthan. Springtime generally means an uptick in fresh egg production for those of us who have laying hens. My girls are no exception, and we count on eggs as one of our local food standbys. And that is wonderful, except for one teeny, tiny issue: It’s really easy to get tired of eggs. (Scrambled, hard boiled, fried, repeat.) We needed some new egg recipes! 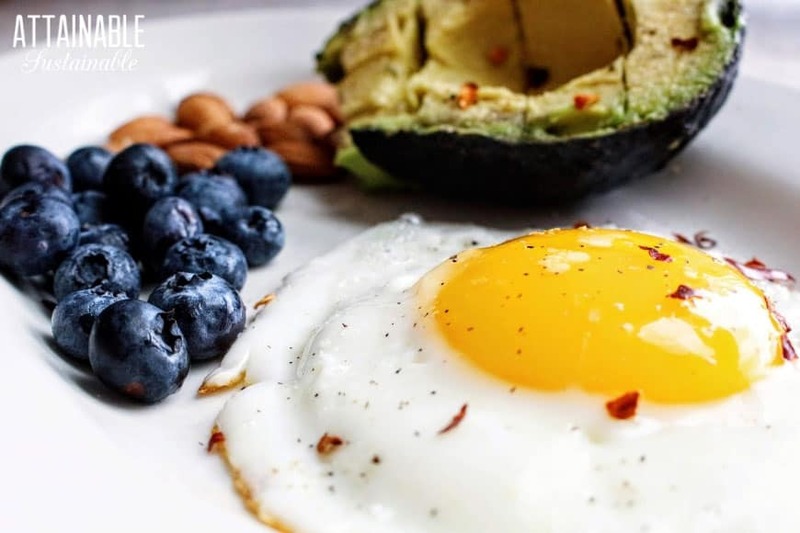 I asked a bunch of blogging friends to share their favorite egg recipes with me to break up the monotony find new ways to use up our abundance. 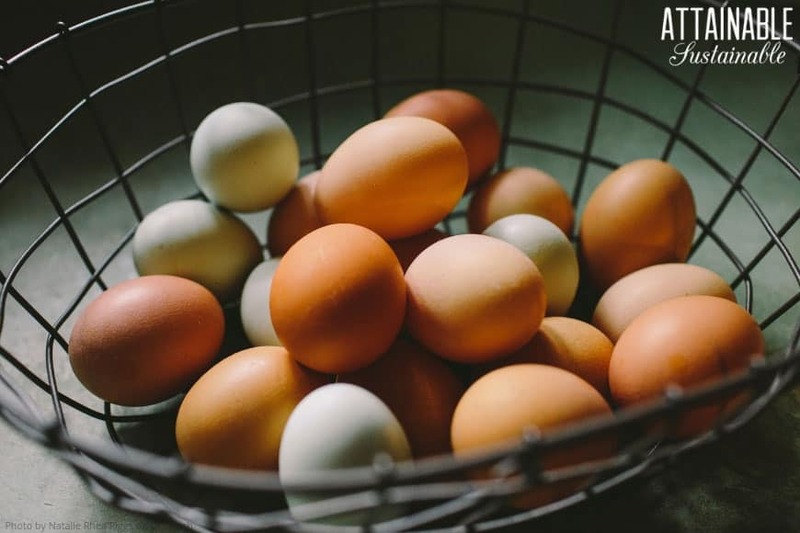 If you’re lucky enough to have a steady source of fresh eggs, I’m sure you’ll find at least one recipe here you’d like to try. These recipes offer a little twist on the usual fried or scrambled eggs. 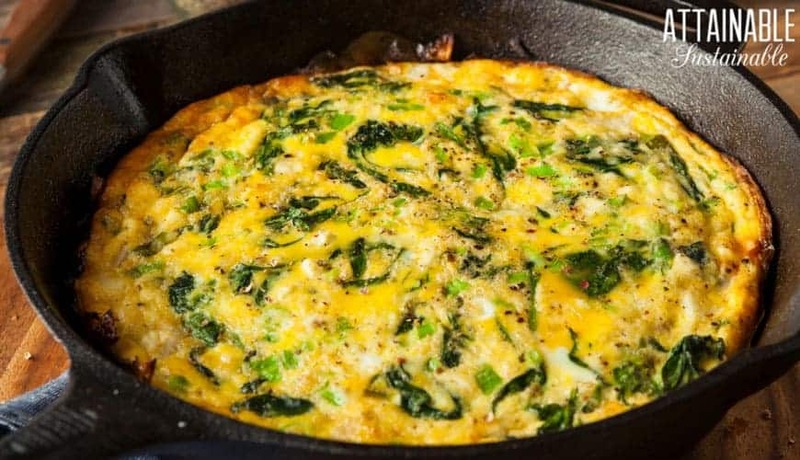 Spice ’em up, add some veggies, and these eggs are a whole new meal. 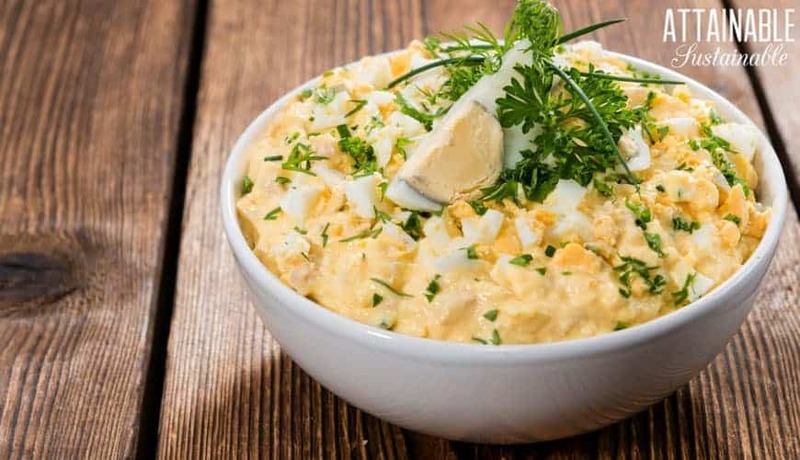 Whisking eggs and baking them with a variety of vegetables and herbs — with or without a crust — is an easy way to feed a family in a hurry. Many of these frittata and quiche egg dishes are a good dinner-in-a-hurry option that you can get away with serving company in a pinch. For a sweet breakfast that uses a number of eggs, pancakes and French toast can’t be beat. 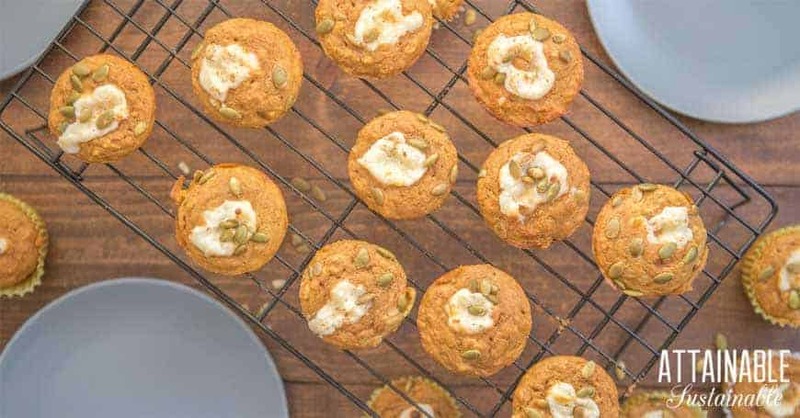 Muffins are great for breakfast but can double as a snack to tuck into a lunchbox, too. It’s really amazing how many different ways there are to cook with eggs. It’s just a matter of seeking out unusual recipes. Most of these savory egg recipes can stand up to dinner time scrutiny. When it comes to using eggs, custards and baked goods are stellar. The easy egg recipes here use real food ingredients and many fit special dietary needs, too. What a fantastic resource! love fresh eggs and i appreciate the links to all of the yummy-sounding recipes! Hey Kris, I just learned something new with eggs. Fresh eggs are the absolute best for poaching. No need for vinegar in the water, or whisking a little whirlpool. The fresher the white, the more it naturally adheres to itself. I thought I was the worst egg poacher in the world, but it turns out I’m amazing at it with fresh eggs! I can even do more than one at a time, which is key when we are a family of 8. I use my 12 inch skillet. I cannot wait for tomato season to make a BLT with a poached egg on it (I didn’t see that one on your list). Oh the cravings! I always have an open empty jar of my homemade dill pickles going and i make a batch of boiled eggs once a week and throw them in the jar with the leftover pickle juice, dill and garlic.. the kids love these!! Thanks so much for including my Mexican Weeknight Skillet Eggs. It’s so easy, your readers will love it. And, I can’t wait to look at all the other ideas here. I love eggs. Such a great food! Thanks for all your hard work to gather these. Thanks so much for including my “Cubano Benedict” is this egglicious round-up! My favorite way to wash my hair is an egg yolk! Great resource for those of us with an abundance of eggs. Thanks.